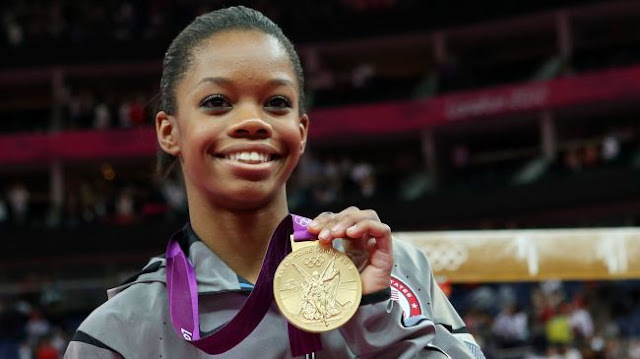 The amazingly talented US gymnast Gabby Douglas earned a place in the history books today as she walked away with the gold medal for the women's individual all-around competition at the 2012 Olympics in London. Gabby is now the first African-American woman to win gold in the women's all-around! And she's only 16. This is also her second Gold Medal as TEAM USA won first place in the Team Finals earlier this week.